For decades, Healthcare Development Associates International Inc. (HDAI) has been devoted to building and managing successful healthcare facilities. Throughout our experiences, we have always recognized the need for modern healthcare in rural areas of North America and in Third World countries around the globe. 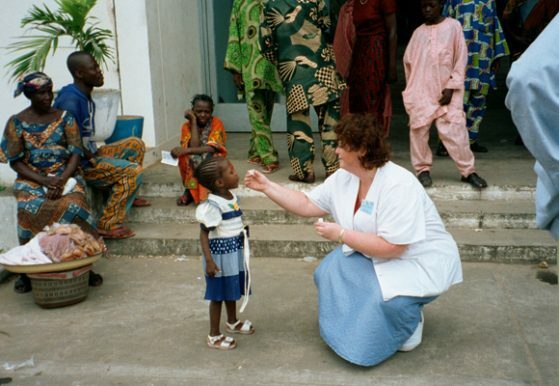 It is because of this that the Foundation for Healthcare for Humanity, Inc (FHH) was formed. FHH is a shining light in medicine. The Foundation is a non-profit 501(c)(3) organization. Our mission is to provide assistance in the development and implementation of medical programs in the United States and countries farfrom our borders so desperately needed. This assistance includes, but is not limited to, providing medical clinics, medications, and supplies and training programs to those in need. The HDAI staff is committed to this cause and volunteers their time and the company donates 10% of its revenue to FHH. FHH develops partnerships with reputable organizations in the countries we visit. Many countries have a need for healthcare but the cost is great. Even the government, most of the time, cannot afford to supply the people with the care and medications. There is where we come into action. Over the years, FHH has made some valuable contacts with individuals and groups that have direct access to government officials. Contact with the offices and the consulates of the individual countries and their officials are our priority. Having their permission and support assures us that when a team travels to provide healthcare, they have the government blessing and assistance to reach their final destination. Gaining the respect of the government officials has allowed us to visit various orphanages, local churches, professional organizations and even hospitals. It is the mission of FHH to continue providing service to the people in need.